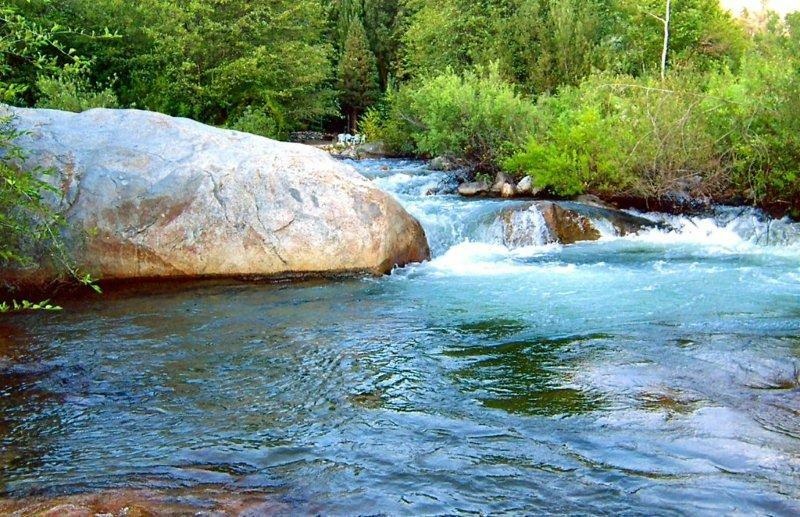 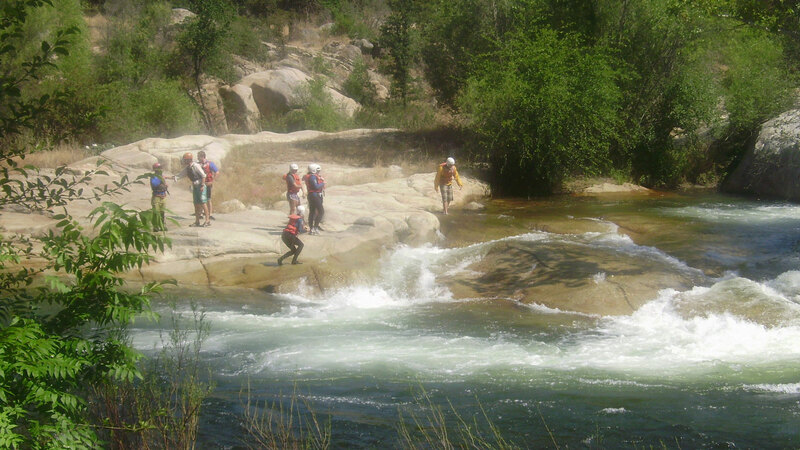 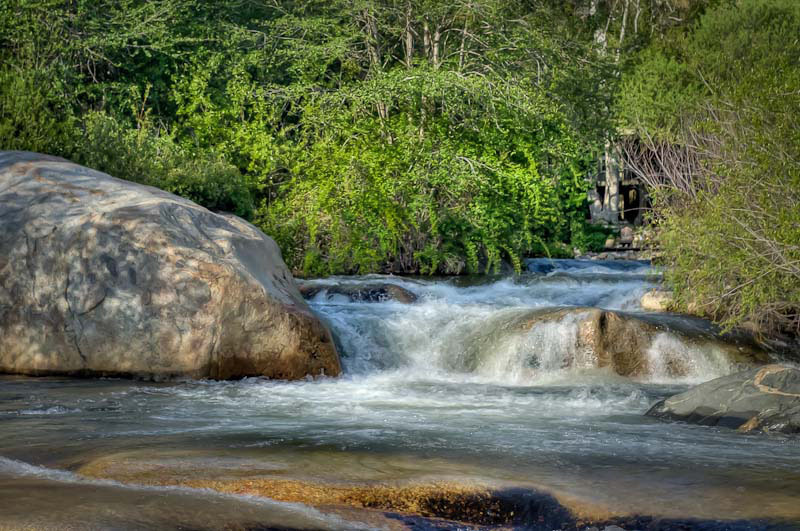 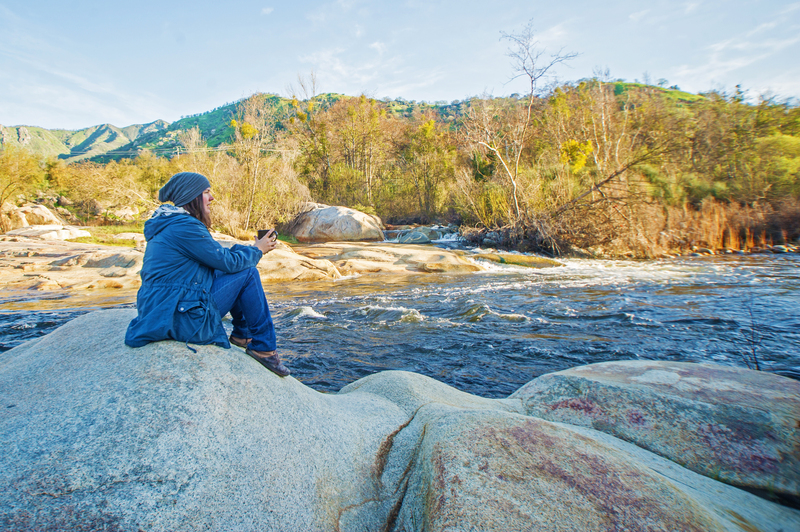 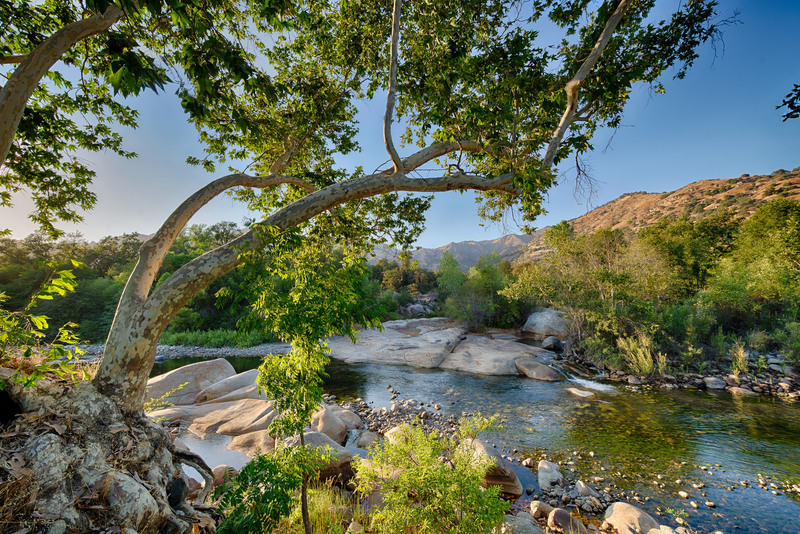 Enjoy a private stretch of the Kaweah River, including one of the best swimming spots in Three Rivers. 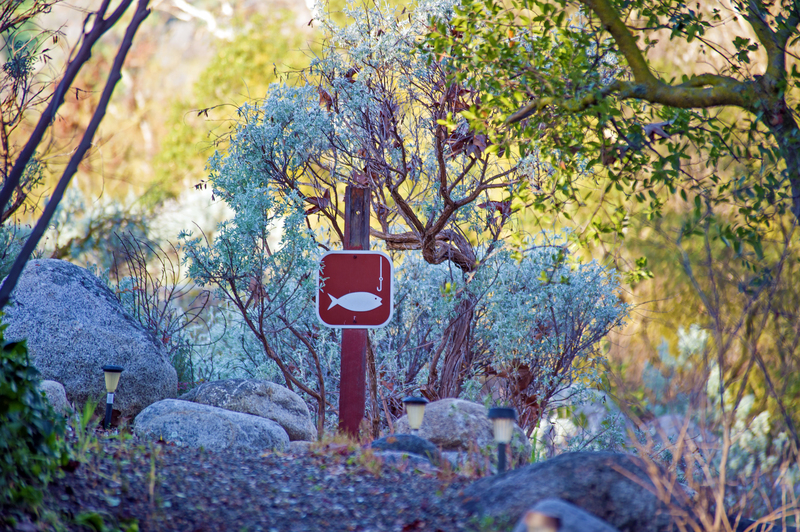 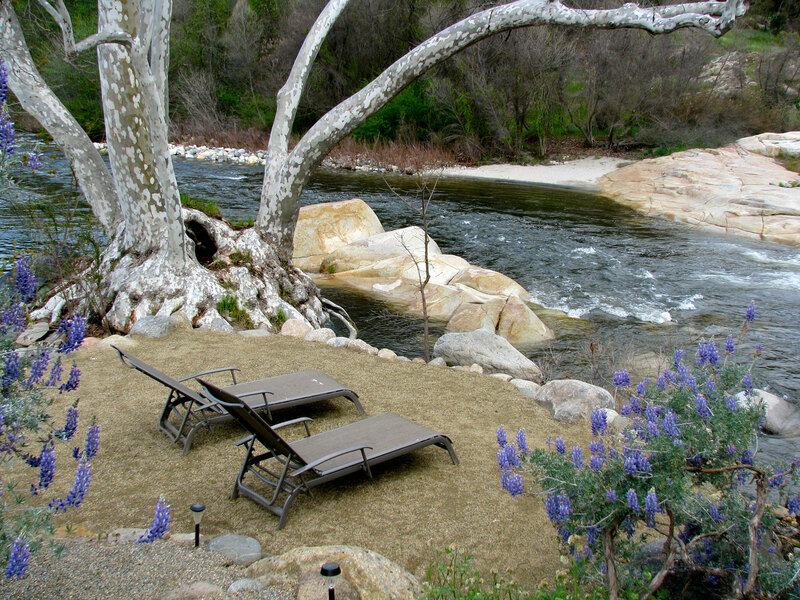 Enjoy 24 Hour Access to Our Secluded Private Stretch of the Kaweah River. 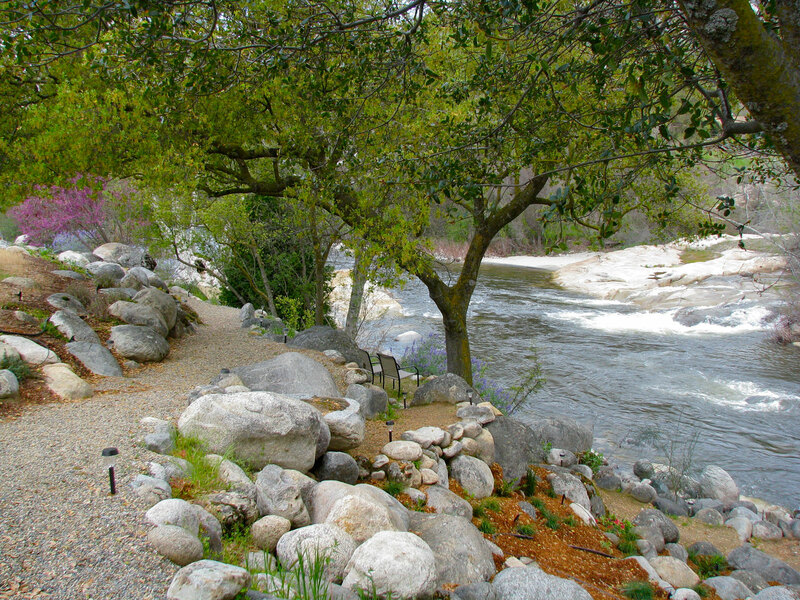 Snowmelt from the High Sierra Nevada, along the 13,000-foot high Great Western Divide, feeds the Kaweah River, which reaches peak flows in the spring and early summer from snow melt (perfect for swimming and water sports) and then shrinks to a relaxing slow river stream by late autumn (perfect for wading and fishing). 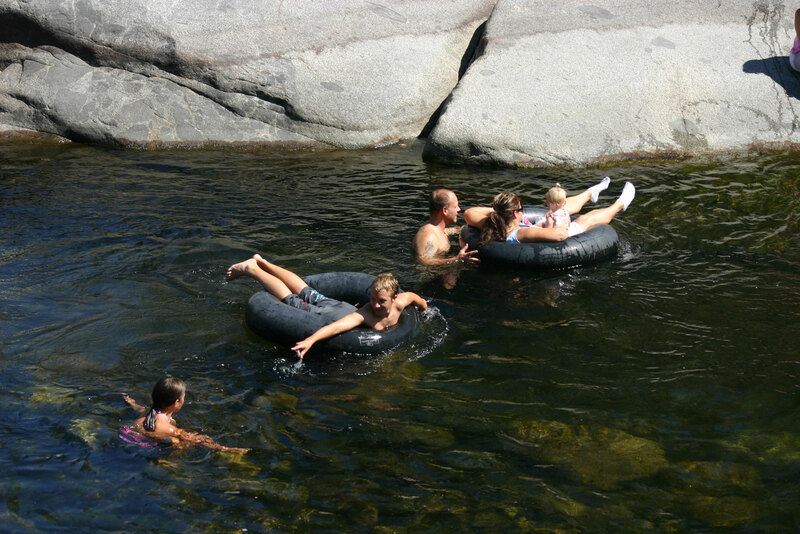 Regardless of the season, guests can feel free to lounge, swim or fish in one of the best swimming holes in the area. 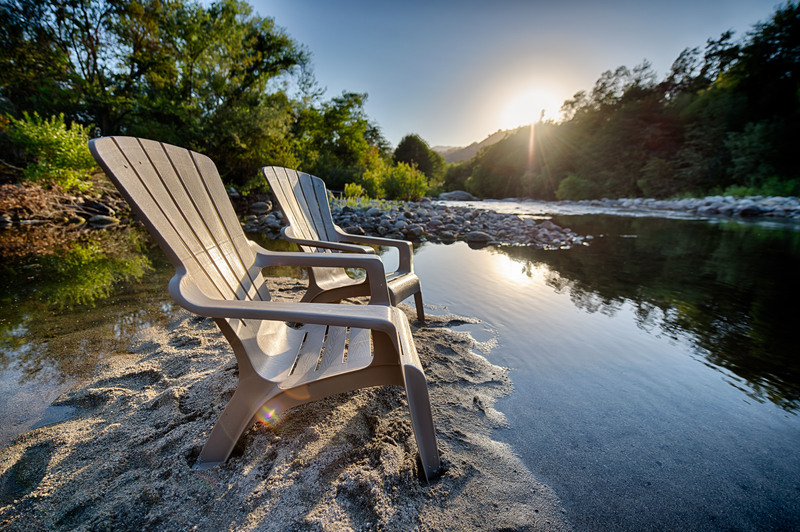 The banks of the river are easily accessible via gently winding landscaped trails, with multiple seating areas and lounge spots. 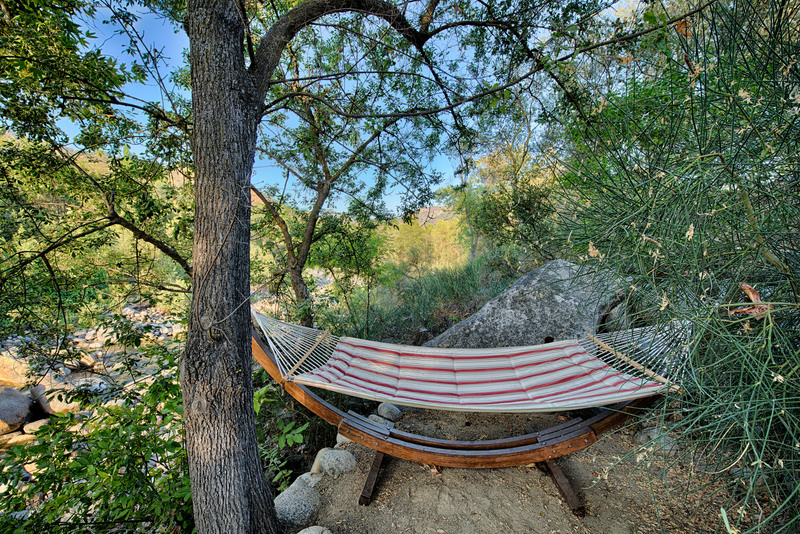 Relax in a lounge chair or hammock overlooking the river and get swept up in the beauty of your surroundings. 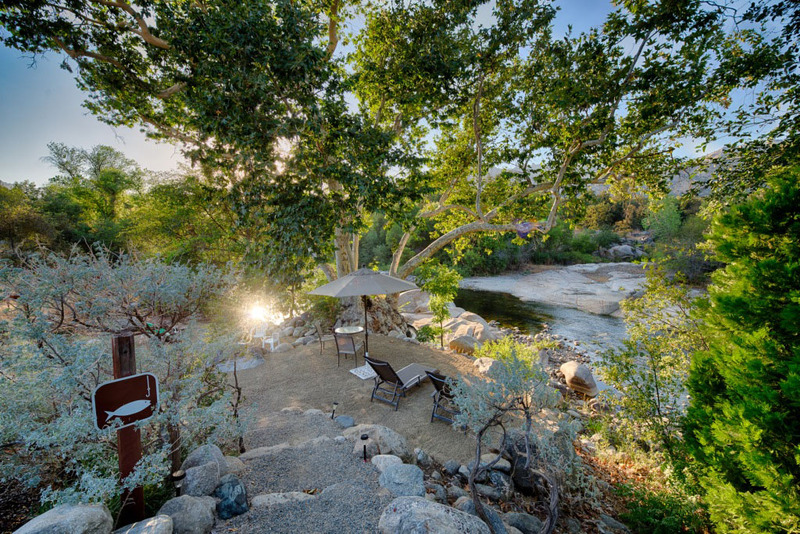 This is a great spot to watch the sun rise over the river with a cup of complimentary coffee from your suite room.